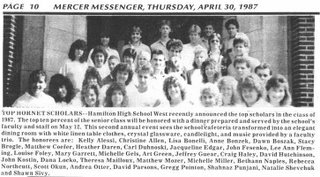 Here are the top scholars of the class of 1987. Anyone there you know? 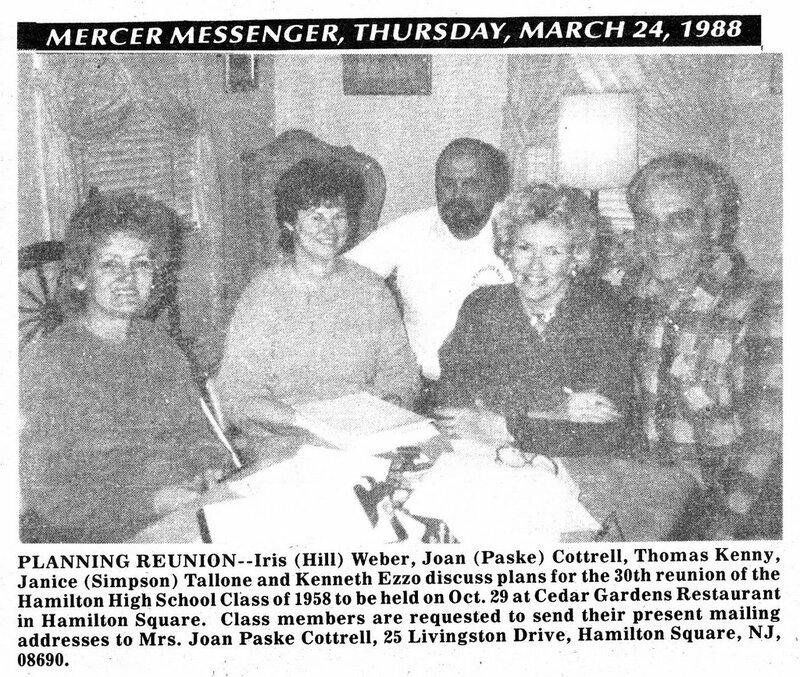 Here are the movers and shakers who planned the 30th anniversary celebration for the Hornets from the class of '58. 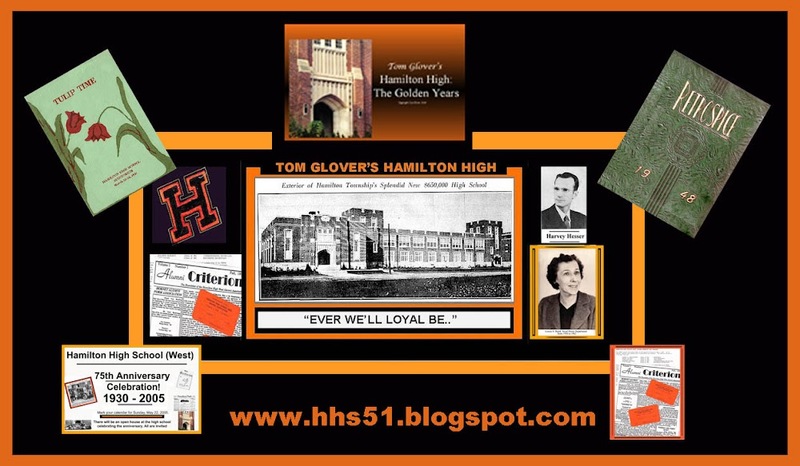 ATTENTION ALL HORNETS FROM HHS'51, "THE CLASS WITH CLASS:"
CLICK ON "SEARCH THIS BLOG" IN THE UPPER LEFT. 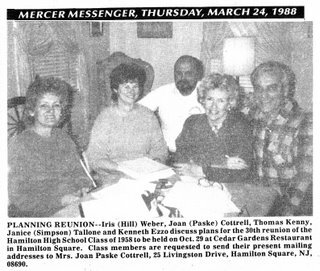 TYPE IN "REUNION" (WITHOUT THE " QUOTATION MARKS) YOU WILL SEE THE REUNION INFO FOR OUR UPCOMING REUNION AS WELL AS THOSE I WILL BE ANNOUNCING IN THE FUTURE. YOU WILL ALSO FIND PAST REUNION PRESS NOTES. WHEN YOU GET TO THE BOTTOM OF THE LIST, YOU WILL SEE AN ARROW POINTING TO THE NEXT PAGE. NOTE THAT YOU WILL NOT BE ABLE TO ACCESS THOSE ENTRIES DUE TO SOME KIND OF RESTRICTIONS VIA THE GOOGLE HOSTING SITE.